NEW DELHI, India -- China has scored a major victory in soft diplomacy by quietly launching its own Nalanda University, while the original Nalanda campus in Bihar, planned almost a decade ago, is still stuck with 455-acre dead space. 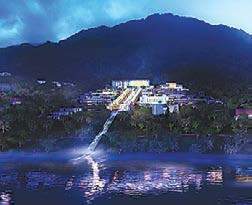 China’s education ministry had managed to keep the plan a secret till a few weeks ago when it formally announced the enrolment for the Nanhai Buddhist College in Hainan province in May. The first batch is set to take off from September with a strength of 220 students to occupy the vacant Buddhist diplomacy space. Nalanda in 2014 had started with just 14 students and 11 teachers. Sources said the secrecy is baffling since China was part of the global team, which first promoted the idea of reconstructing Nalanda University in the ancient Indian city in 2006.